Perfecting your smile can be as easy as taking advantage of one of several cosmetic dental procedures. Your Gillette, WY, dentists, Dr. Daniel Morrison and Dr. Ilene Choal of Gillette Dental, offer several treatments that can completely transform your smile. Whitening removes stains that dull teeth and make you look older. Stains form when dark pigments in coffee, tea, wine, berries, cola, and other foods and beverages seep into tiny pores in your tooth enamel. Luckily, your Gillette, WY, dentist can remove stubborn stains by applying hydrogen peroxide gel to your teeth. The gel penetrates the small openings in your enamel and safely breaks apart the pigments, leaving your smile bright and white. Professional whitening can lighten your teeth three to eight shades in just one hour. 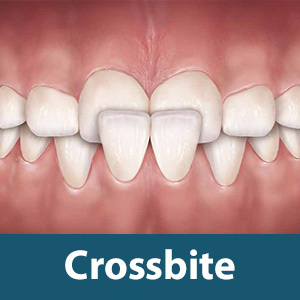 A crown is an excellent option if a tooth is damaged, in danger of fracturing, or unattractive. Dental crowns not only protect at-risk teeth but can hide discolorations and even change the shape and length of teeth. The restorations are made of durable materials that last 10 to 15 years or longer, such as porcelain, porcelain-fused-to-metal, ceramic or resin. Veneers are thin porcelain or plastic shells that only cover the fronts of teeth. They're attached to your teeth with dental cement and often used to hide imperfections, close slight gaps, conceal discolorations, whiten your smile, improve the appearance of oddly shaped teeth, or lengthen short teeth. Dental implants, the newest tooth restoration option, replace your roots and the crown of your tooth. Tiny titanium implants fit in small openings made in your jaw during minor oral surgery. The implants serve as root replacements and bond to your jawbone. When they're topped with a dental crown, they create a complete new tooth that functions just as well as the tooth you lost. Implants can be used to replace full dentures. Implant-supported dentures offer a more comfortable alternative to full dentures and don't decrease your biting power. Could you smile benefit from one of these procedures? Call your Gillette, WY, dentists, Dr. Morrison and Dr. Choal of Gillette Dental at (307) 682-3353 to schedule an appointment today!